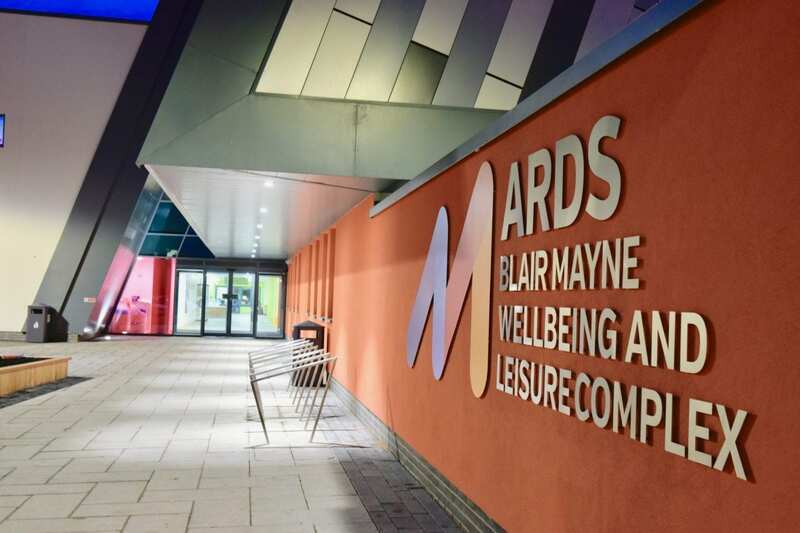 Ards Blair Mayne Wellbeing and Leisure Complex | Building, Construction, Engineering & Property Development | Heron Bros Ltd. 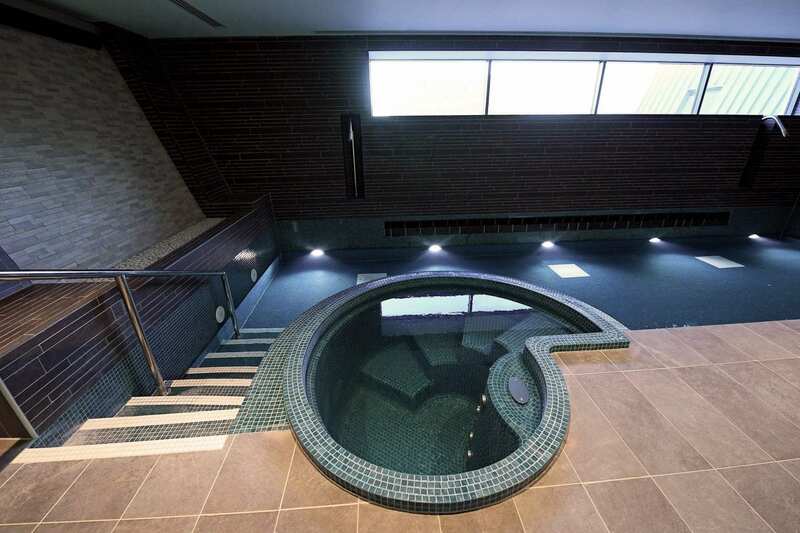 Versatility has been right at the heart of over six decades of success at Heron Bros. 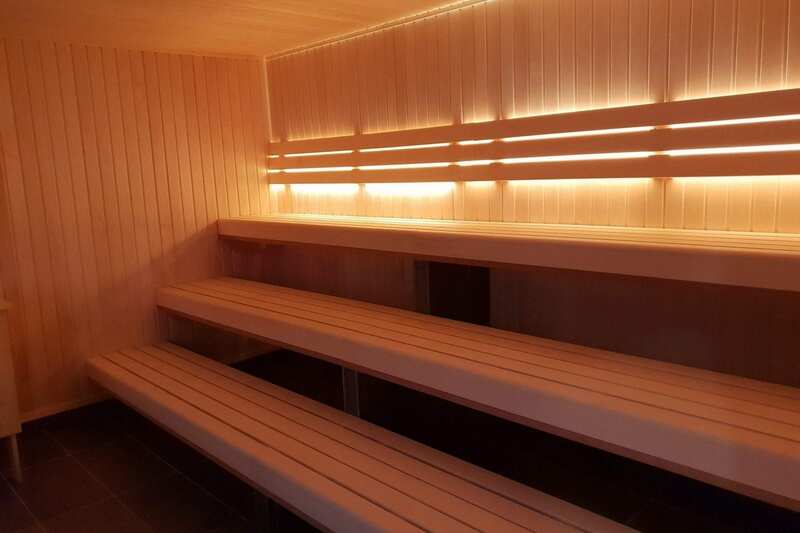 This very evident in abundance during the construction of the landmark Ards Blair Mayne Wellbeing and Leisure Complex. 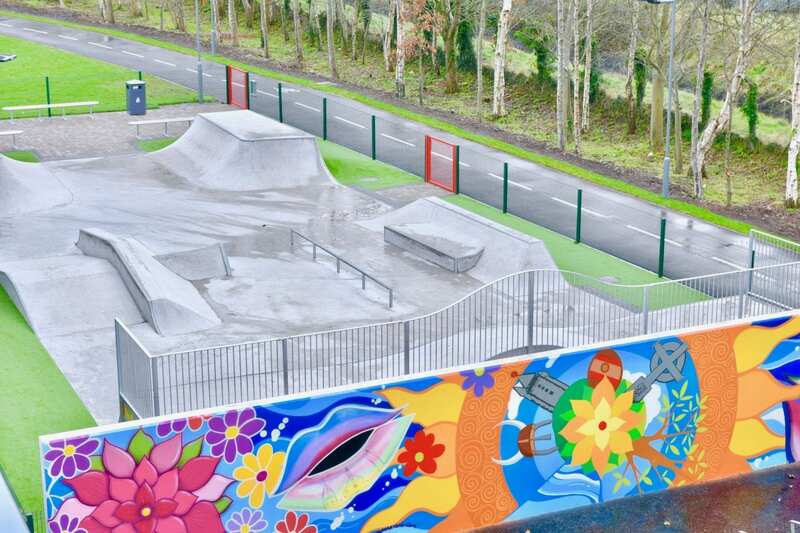 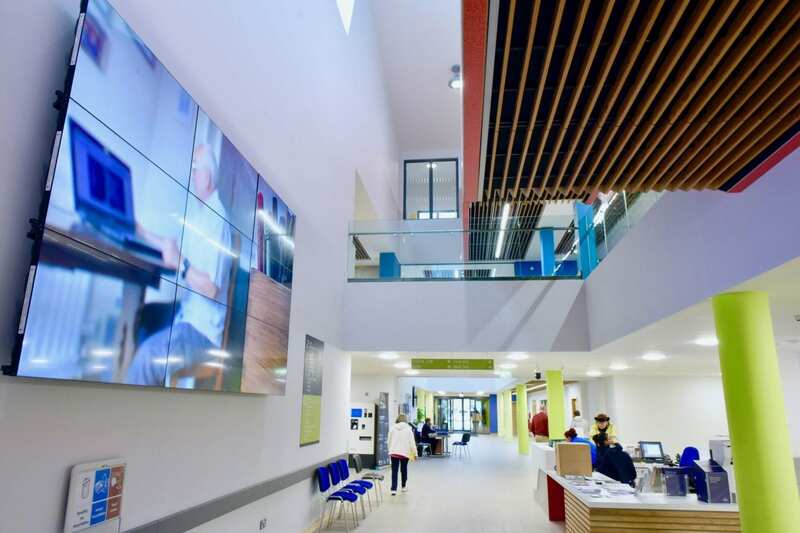 The £30million project for Ards and North Down Borough Council has recorded unprecedented demand since opening earlier this year, mainly due to the versatile nature of the building and the wide variety of activities on offer. 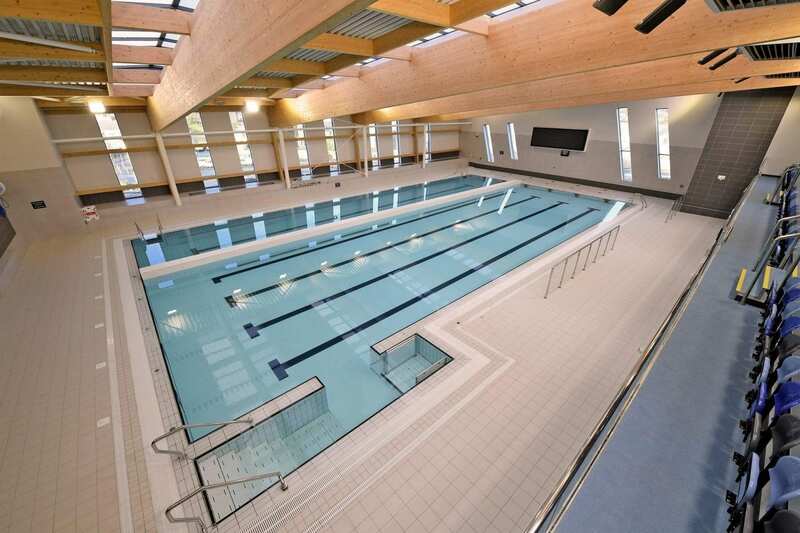 Gone are the days that a council- run leisure centre consists of a rectangular swimming pool and a multi-purpose sports hall and that change is epitomised at Ards Blair Mayne Wellbeing and Leisure Complex, which consists of a dome-covered synthetic turf training area, sports halls, swimming pools, fitness suites and luxury spa. 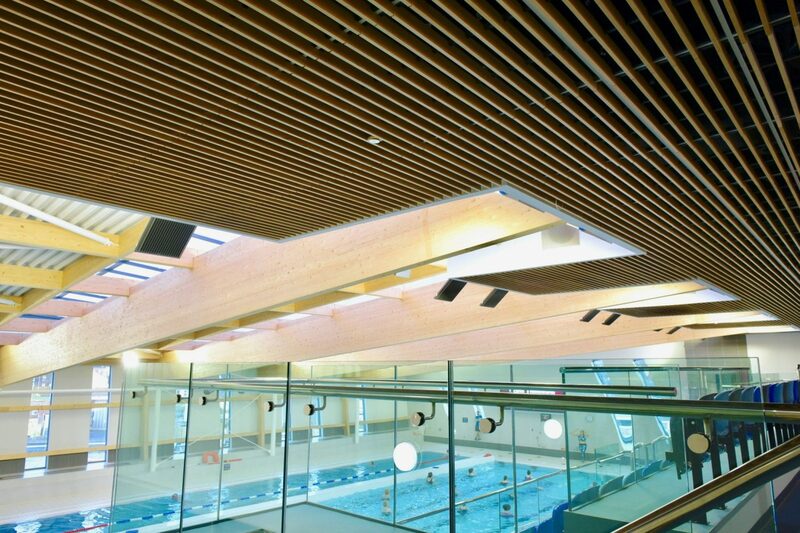 The swimming facilities in the Aqua Zone encompass a six-lane 25-metre indoor main pool, a 20-metre indoor minor pool, both with movable floors, a splash pool in its own space for interactive water-based play, and spectator gallery which can accommodate 160 people alongside modern changing facilities. 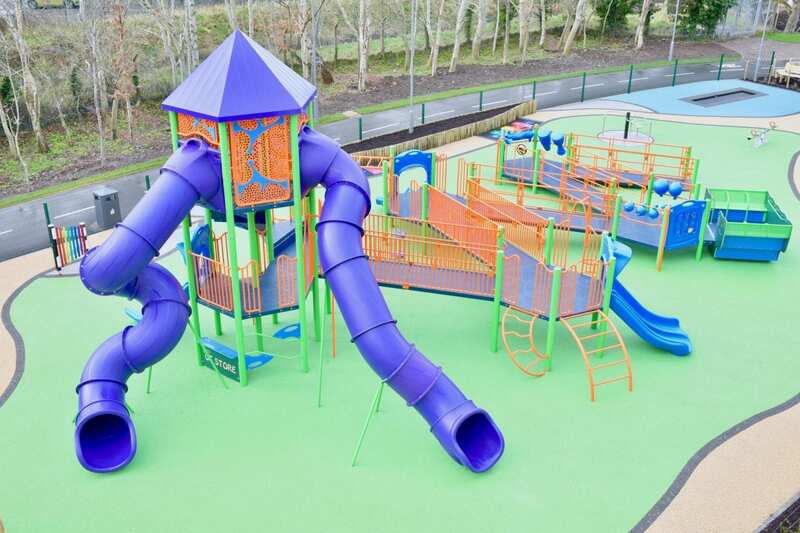 There is also a new water-based play area for children up to 7 years old. 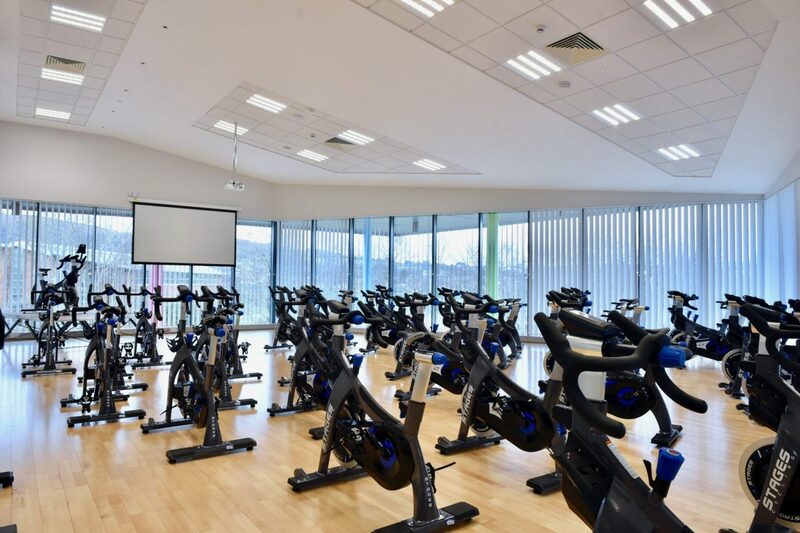 In addition to the sports hall, with courts for netball, basketball and racket sports, there is a separate, dome-covered synthetic turf training area that allows sports and training to continue whatever the weather. 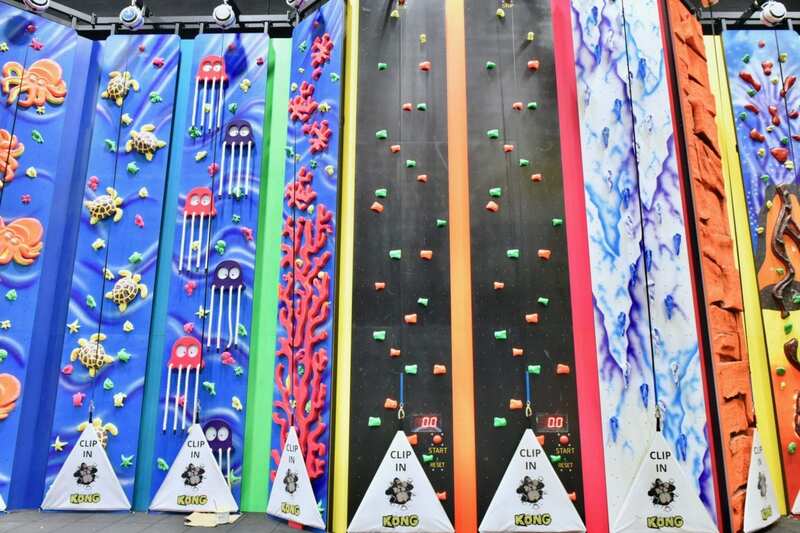 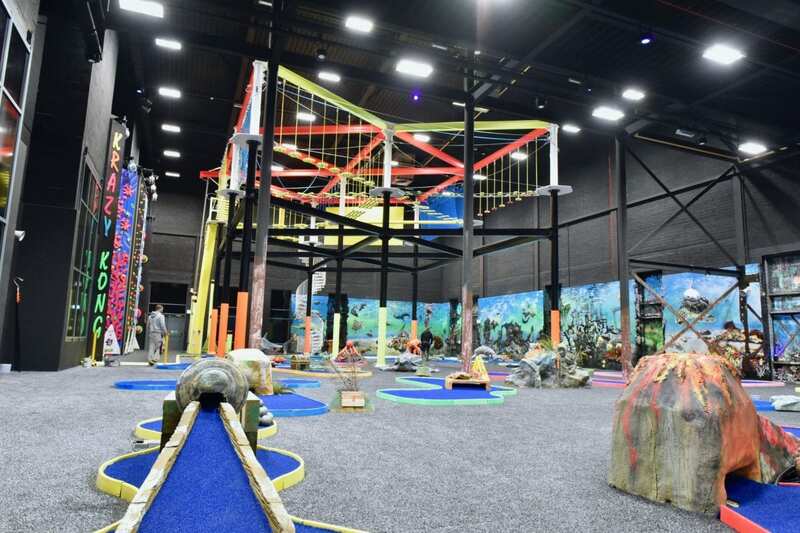 The luxury spa rivals that of many 5-star hotels and comprises of vitality and chill pools, a sauna, aroma steam room, sanarium, salt grotto and relaxation area while, in a UK first, the Blacklight Adventure Zone includes adventure golf, climbing walls and high ropes. 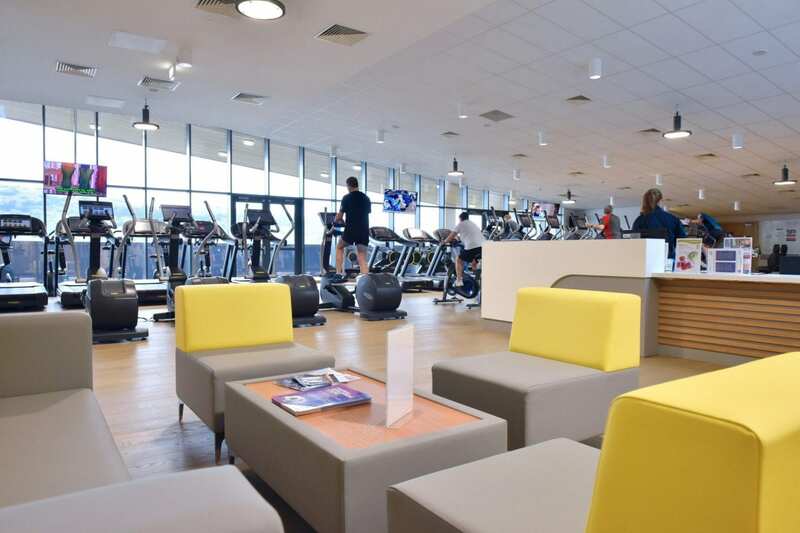 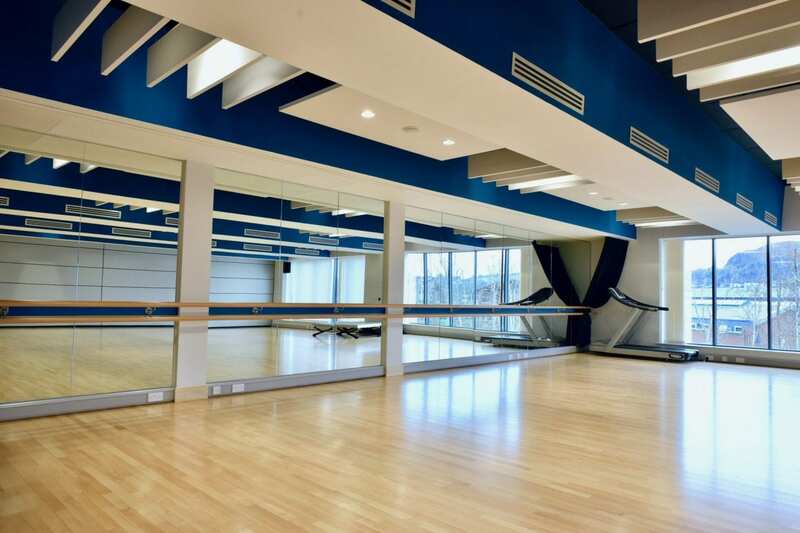 The contemporary gym has three fitness studios and a spacious 110-station gym while there is also a children’s soft play area. 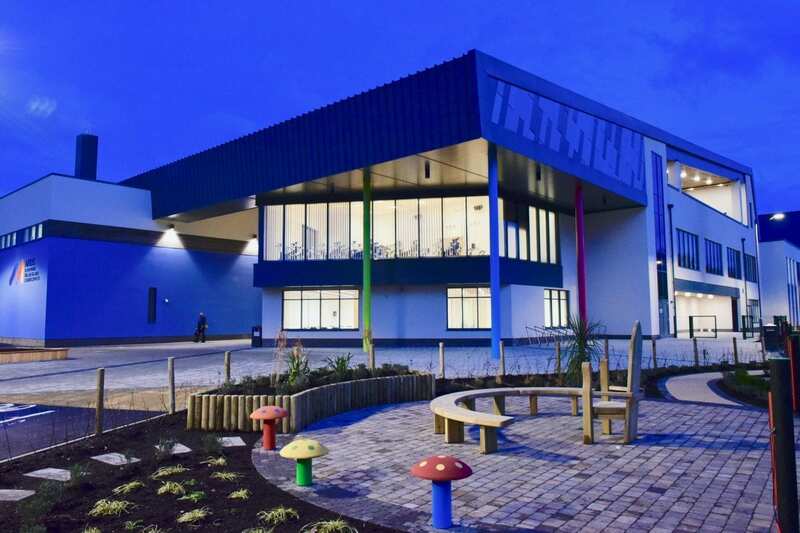 Externally, there is a diversity play area and sensory garden, biking pump track, wheel park for skateboarding, scooters, BMX and inline skating. 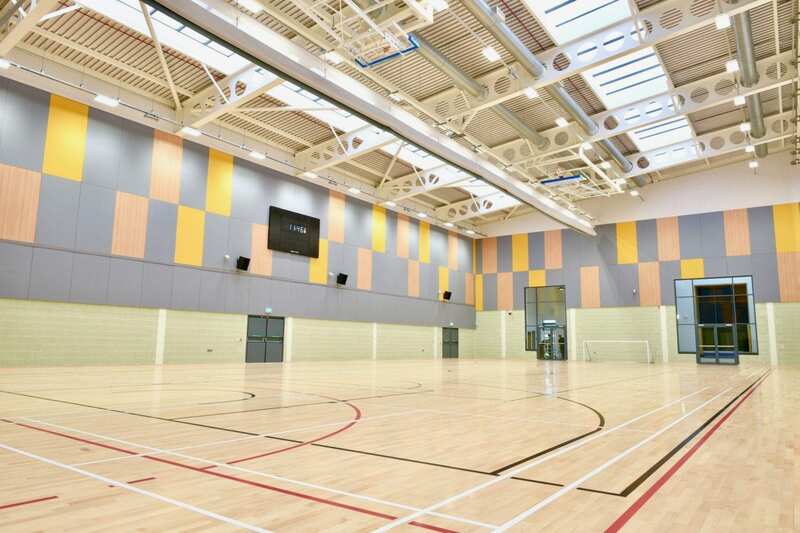 Heron Bros is renowned for delivering high quality leisure projects, including the National Indoor Arena, Dublin and Aberavon Leisure Complex, Port Talbot while the company’s ability to complete complex projects in the education, healthcare, office and retail sectors made the experienced contractor the perfect choice for Ards Blair Mayne Wellbeing and Leisure Complex. 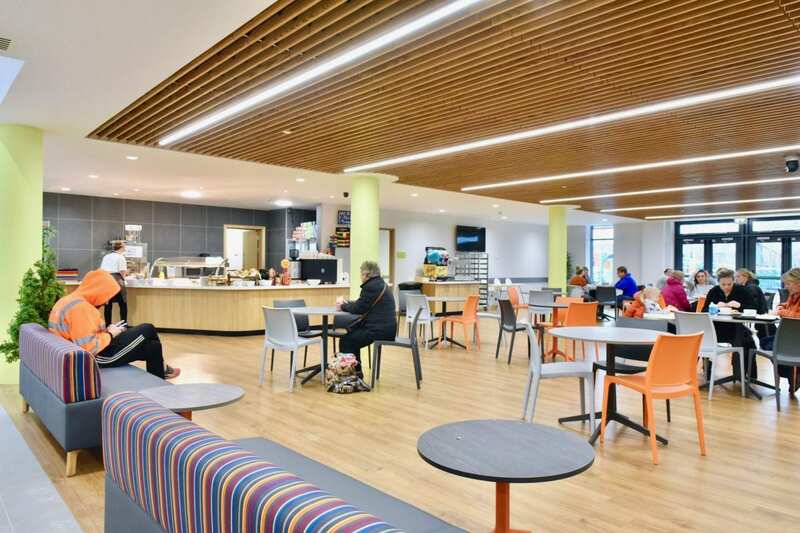 With so many different aspects, the unique design became a veritable jigsaw for the team at Heron Bros but, as explained by Theresa McErlean, Contracts Manager, an immense sense of teamwork made this an enjoyable project. 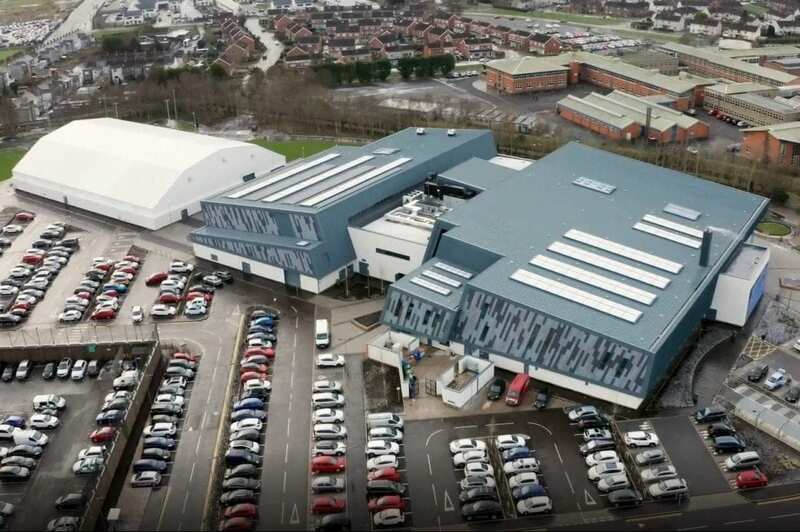 Believed to be the first centre of its kind in Northern Ireland with the swimming pools on the first floor as opposed to the more traditional ground floor, the striking shape of the building also offered Heron Bros with a challenge. 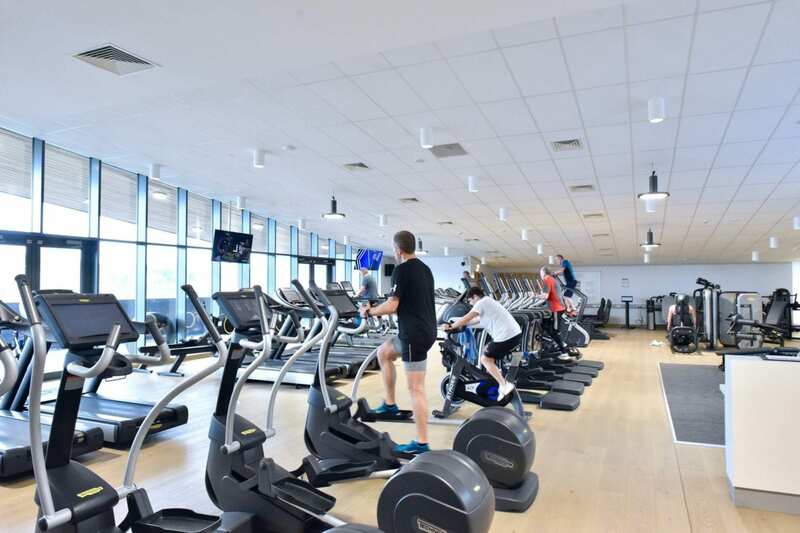 A late request from the client to allow members of the public onto the site to carry out their gym induction ahead of the official opening was another hurdle the team had to clear. 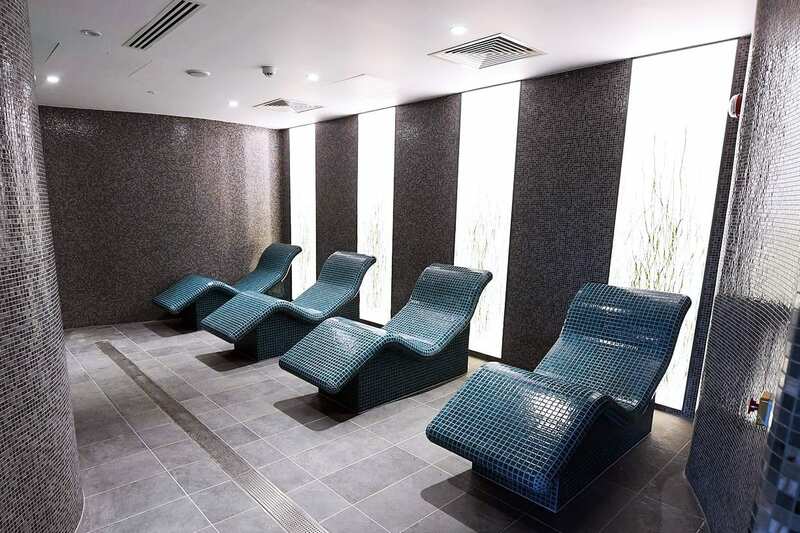 These qualities saw Heron Bros complete another complex build with consummate ease, adding Ards Blair Mayne Wellbeing and Leisure Complex to an already impressive portfolio of successful projects. 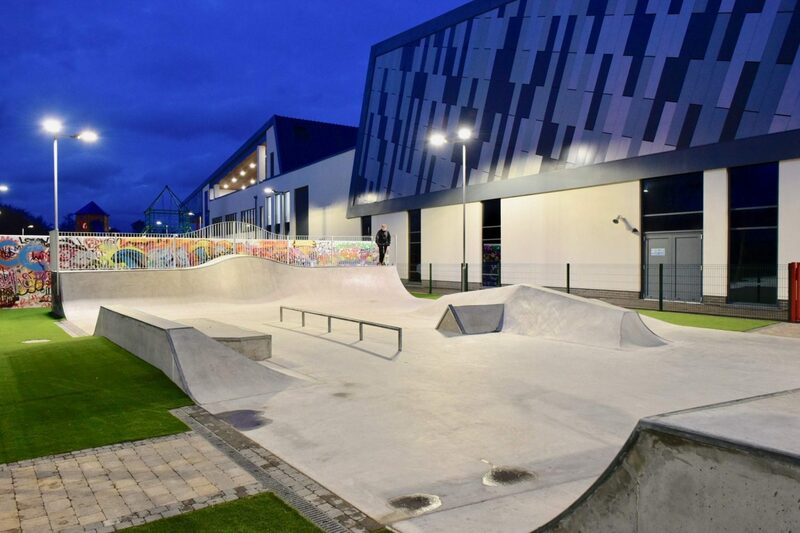 Wheel park for skateboarding, scooters, BMX & inline skating. 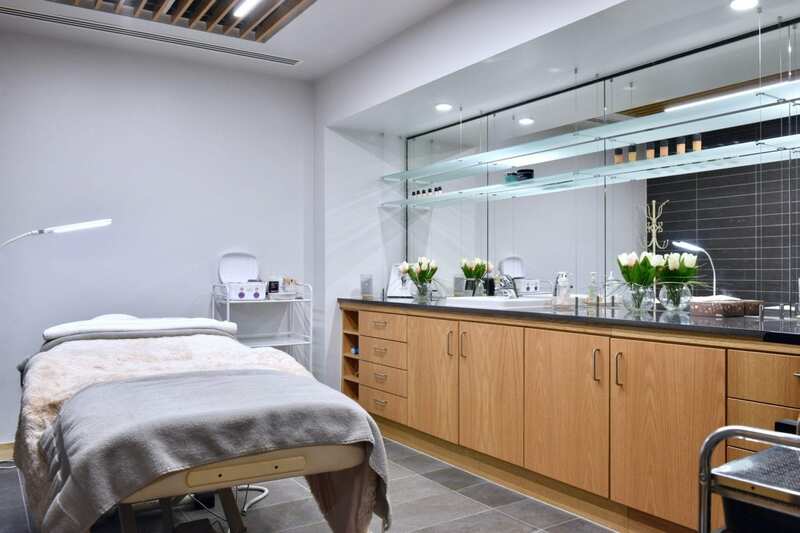 We would highly recommend the excellent work of Heron Bros and have found the team to be highly competent, dedicated, professional, flexible and enjoyable to work with.